If you’re going to drink, don’t drive. That’s the message the Salinas Police Department is trying to reach the public with this holiday season and they’re setting up a sobriety checkpoint on Thusday night to drive home the point. 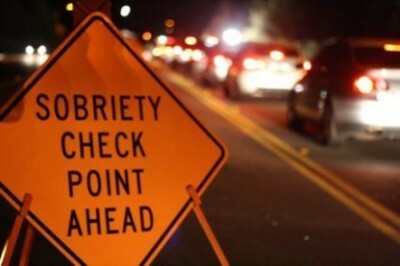 DUI/Drivers License Checkpoint Planned for December 18th. Salinas Police Department Traffic Unit will be conducting a DUI/Drivers License Checkpoint on December 18th, at an undisclosed location within the city limits between the hours of 6:00 p.m. to 2:00 a.m. In California, this deadly crime led to 802 deaths and nearly 24,000 serious injuries in 2012 because someone failed to designate a sober driver. Nationally, the latest data shows nearly 10,000 were killed by an impaired driver. “Every year in Monterey and San Benito Counties we have several tragic deaths attributed to intoxicated drivers,” said Sergeant Gerry Ross. “Several hundred more are injured every year. These are senseless tragedies that can easily be avoided.” Officers will be looking for signs of alcohol and/or drug impairment with officers checking drivers for proper licensing delaying motorists only momentarily. When possible, specially trained officers will be available to evaluate those suspected of drug-impaired driving, which now accounts for a growing number of impaired driving crashes. Drugs which may impair driving not only include illegal narcotics, but many prescription drugs, marijuana, and even some over-the-counter medications. DUI Checkpoints are placed in locations based on collision statistics and frequency of DUI arrests affording the greatest opportunity for achieving drunk and drugged driving deterrence. Locations are chosen with safety considerations for the officers and the public. Drivers caught driving impaired can expect the impact of a DUI arrest to include jail time, fines, fees, DUI classes and other expenses that can exceed $10,000 not to mention the embarrassment when friends and family find out. Funding for this checkpoint is provided to The Salinas Police Department by a grant from the California Office of Traffic Safety, through the National Highway Traffic Safety Administration, reminding everyone to ‘Report Drunk Driver – Call 9-1-1′.